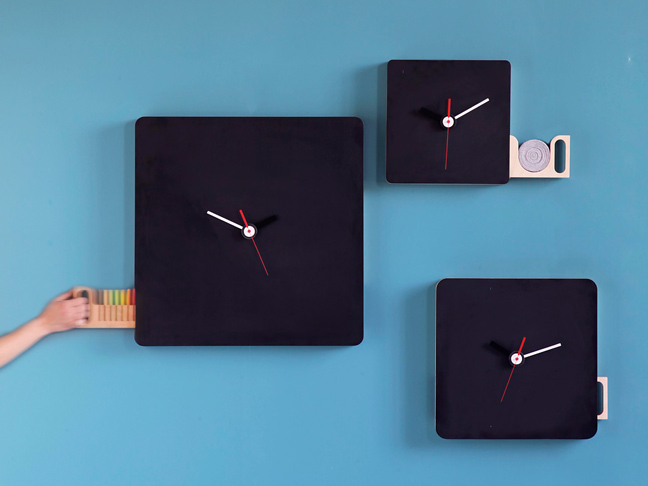 The Chalkboard Kitchen Clock puts some fun into keeping time and leaving timely messages. 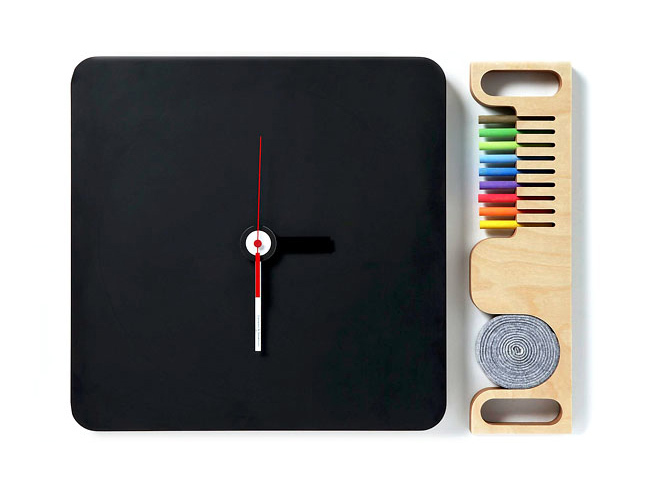 The birch clock comes with colored chalk and felt chalkboard erasers that store in a hidden pull-out drawer. 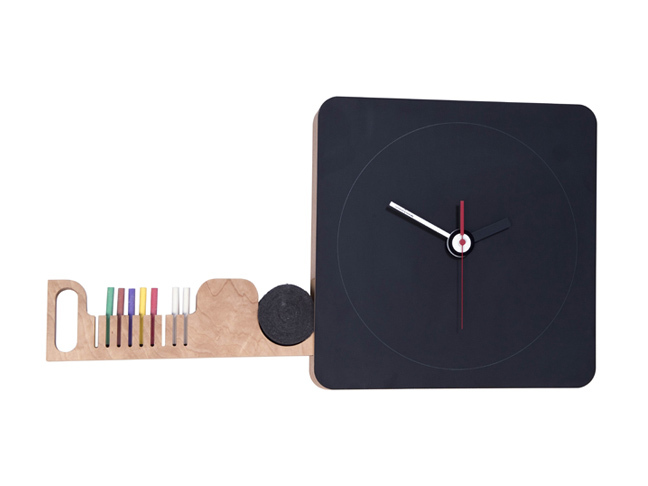 The clock face is a chalkboard, so you can obviously fill in your own numbers or notes. But the coolest feature of this clock is the pull-out holder for the chalk and eraser, making sure the tools are hidden yet always readily available. Previously a bit on the high side at $248, the Chalkboard Kitchen Clock can now be purchased at Terrain for an easier $99.